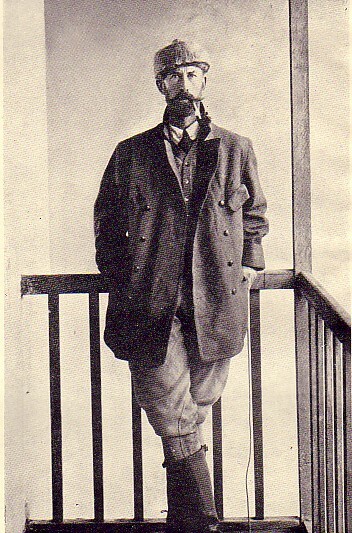 Lt. Col. P. H. Fawcett, D.S.O., F.R.G.S. The concept of the Earth being hollow is one which has been written about for at least the past century or so. In 1920, Marshall B. Gardner produced a revised edition of an earlier work published in 1913 entitled A Journey to the Earth’s Interior. 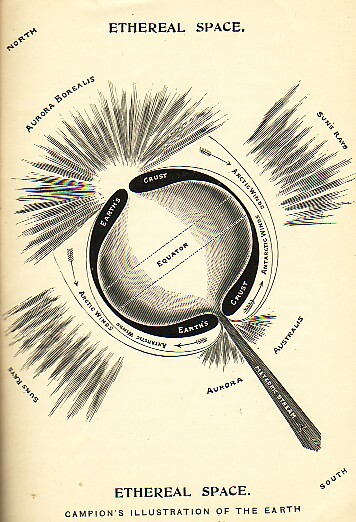 In his second edition the author produces a diagrammatic plate showing the earth as a hollow planet with an opening entrance at the North Pole. 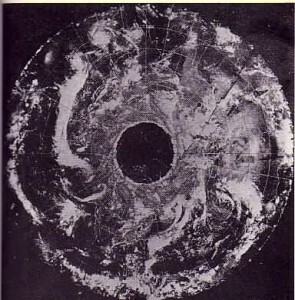 What is significant is that a photograph taken by the ESSA -7 satellite on 23rd November 1968 over the North Pole, without cloud cover, clearly reveals a substantial circular opening which, it is claimed, was navigated by Rear Admiral Richard E. Byrd (United States Navy) on a secret expedition made in 1947. Over a period of time much material has been written about the hollow earth theory, and recently a book has been published (Hollow Planets: A Feasibility Study of Possible Hollow Worlds by Jan Lamprecht, 1998) which suggests that all the planets in the Universe may be hollow, a creative principle which may hold true throughout the stellar worlds. To again quote Dr. Raymond Bernard from his book The Hollow Earth (1979): “The theories of Reed and Gardner found confirmation in the Arctic and Antarctic expeditions of Rear Admiral Richard E. Byrd in 1947 and 1956 respectively, which penetrated for 1,700 miles beyond the North Pole and 2,300 miles beyond the South Pole, into a new unknown, iceless territory not recorded on a map, extending inside the polar depressions and openings that lead to the hollow interior of the earth.. Admiral Byrd’s discovery is today a leading international top secret, and it has been so since it was first made in 1947. After Byrd made his radio announcement from his plane and after a brief press notice, all subsequent news on the subject was carefully suppressed by government agencies. There was an important reason for this. Before he left on his seven hour flight from his arctic base over iceless lands beyond the North Pole (leading to the interior of the Earth), Admiral Byrd said: ‘I would like to see that land beyond the Pole. That area beyond the Pole is the center of the Great Unknown’.” In November 1955, before embarking on his South Polar expedition, Admiral Byrd stated: “This is the most important expedition in the history of the world.” Further, a radio announcement from Byrd’s Antarctic expedition, confirmed by the American Press of February 5th 1956, stated: “On January 13th, members of the United States expedition accomplished a flight of 2,700 miles from the base at McMurdo Sound, which is 400 miles west of the South Pole, and penetrated a land extent of 2,300 miles beyond the Pole.” On his return from this South Polar expedition Admiral Byrd, on March 13th 1956, remarked that: “The present expedition has opened up a vast new territory.” Rear Admiral Byrd died the following year at sixty eight years of age. 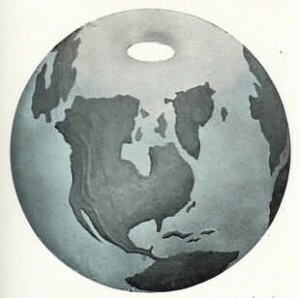 If the notion of a hollow earth is viewed as somewhat tenuous, then how can all of the foregoing information be accounted for?